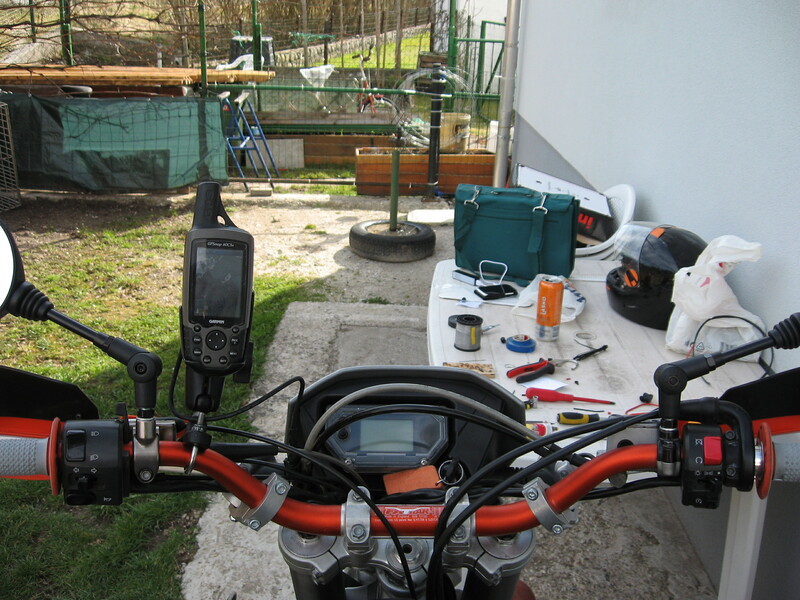 Today was a nice sunny day here at my place, and instead of riding I have decided its time I tackle the GPS power cable installation. 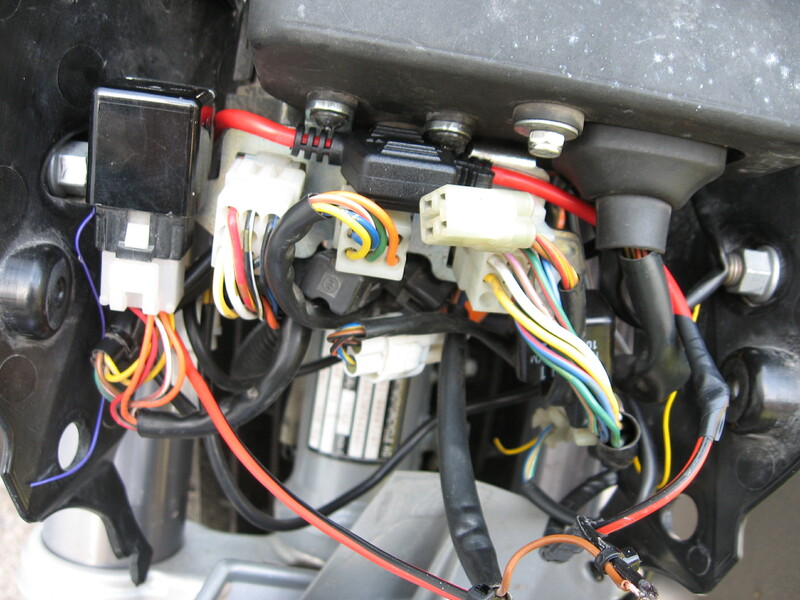 After looking around under the seat, and failing with finding any suitable place, someone has suggested to wire it up to park light. 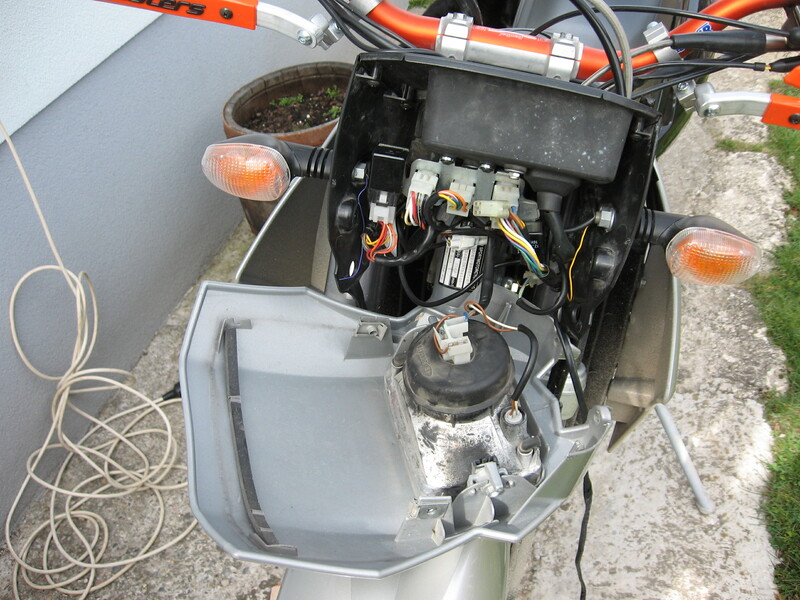 I have stripped the park light wires and tested the polarity. White wire is positive (+) and the brown is negative (-). After that I have found a nice place for for the fuse holder and soldered everything together. 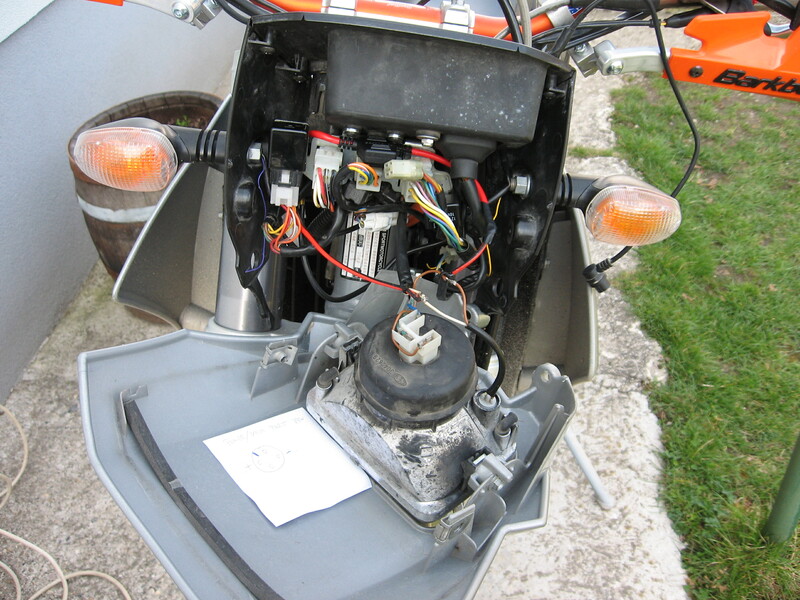 Its a bit of a mess behind the headlight on those Enduro models. Fuse holder sits nicely above the connectors and tightly wedged untder the dash screws. 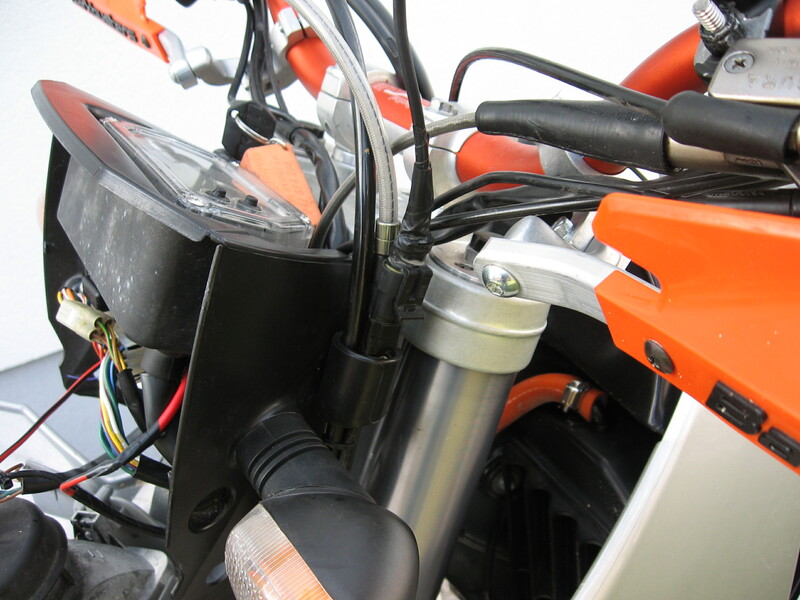 The GPS plug is located at the brake and speed sensor cable guide. 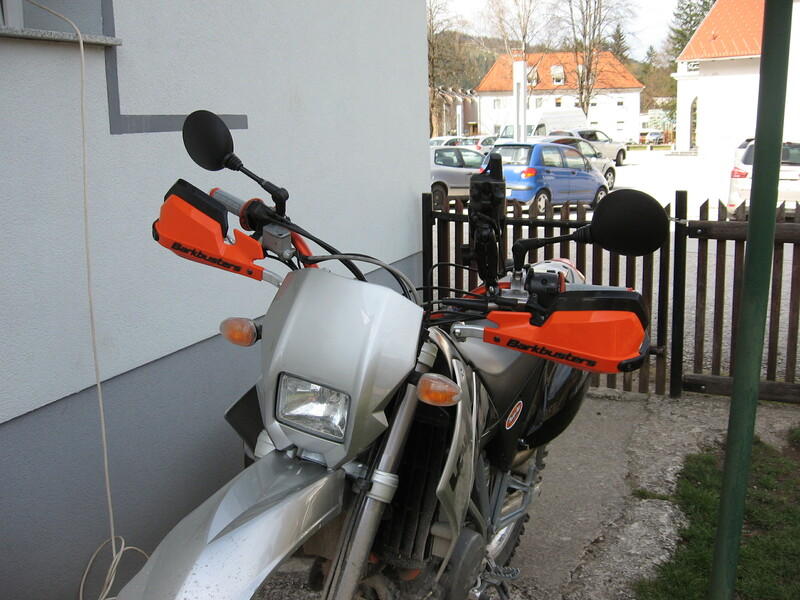 Here is everything buttoned up, also with new mirrors. And the view from the seat is great now, and I won’t get lost any time soon, hopefully.